The HTML5 <canvas> element has a unique history. Starting out as an Apple creation and dating back to 2004, canvas was eventually added to the official W3C HTML5 spec, becoming one of the most interesting and exciting parts of HTML5. It is used by web designers all over the world. Unfortunately, this element takes a bit of work to understand and, unlike your usual run-of-the-mill HTML elements, requires more than just static markup and styling. This element is great for sites looking for a more responsive web design, like maybe a realtor. In this guide, I hope to get you started on understanding the canvas element and what kinds of things are required and expected in its associated code. This should help you get a firm fundamental understanding of canvas in preparation for creating something interesting and powerful with this unique HTML5 element. As you can see already, this element has a bit of complexity to it. Let’s take it one step at a time, beginning with the markup. Once you have this basic markup, you can use CSS to make the canvas visible or, using CSS3 transition properties, move it around — the same as you would do with any other HTML element. You can add a border, padding, background color, margins, you can float the canvas, and assign CSS properties to it just like any HTML5 element. To start drawing on a canvas, you need to first target itusing the Document Object Model (DOM). Since you can include more than one canvas element on any given page, this is where an ID attribute comes into play (in this case, our ID is myCanvas). After defining the canvas element via the DOM (line 1), the context is defined (line 2), then a shape is drawn and colored (lines 3 and 4). The first two lines are more or less standard stuff, whereas the third and fourth lines consist of a few examples of custom code using the properties and methods available in the drawing API. The four values given above in the fillRect() method represent the distance from the x axis, the distance from the y axis, the width, and the height (in that order). Every canvas element starts out blank, so it will not appear on the page until something is drawn on it or if it’s styled via CSS (e.g. giving it a border or giving it a background color). Similar to the concept behind drawing rectangles, you can draw straight lines using the moveTo() and lineTo() methods. These methods define, by means of x and y coordinates, the start and end points of the lines, or paths, that will be drawn. These methods, however, do not actually draw the visible lines; they prepare the canvas for the actual stroking of the lines that will occur when you call the stroke() method. 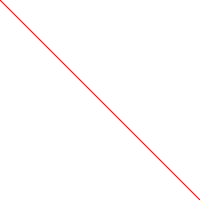 Assuming the markup remains the same (with the canvas sized at 400×400), the code above (lines 3-6) draws a diagonal line from the top left corner of the canvas (0, 0) to the bottom right corner (400, 400). The last line of code uses the aforementioned stroke() method to stroke the path that was prepared on lines 3 and 4. Line 5 has the optional strokeStyle method that can give the line a color, gradient, or pattern. If a stroke style is not declared, the line will be black by default. On line 3 above, the gradient is stored in memory and is given 4 arguments. The first two arguments are the x and y coordinates that determine the starting point of the gradient; the second two arguments are the x and y coordinates that determine the end point of the gradient. After the gradient is created (but not drawn yet), color stops are added (lines 4-5). Then the fill style is defined on the canvas context, and the gradient that is created on line 3 is added as the value of the fill (line 5). After line 5, everything is just stored in memory, waiting to be used on a shape or path. 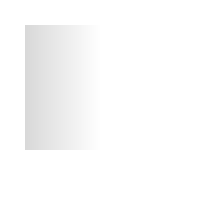 The last line makes the gradient visible by creating a shape on which to place the gradient. The first and last color stops in a linear gradient are represented by 0 and 1, respectively; any additional color stops are represented by decimal values in between 0 and 1. Putting a color stop at 50% of the object, then, would be .5. This is a pretty simple example. If, for whatever reason, canvas is unavailable, the user will see the fallback.jpg image instead. That image will not display if canvas is supported. Mozilla’s Developer Center has a great “skeleton” template for drawing canvas elements. This is the template with some minor modifications. // When the window has loaded, DOM is ready. Run the draw() function. Secondly, we use feature detection instead of browser sniffing to see if canvas is supported. We do this with an if/else control structure. If canvas.getContext is not null, then we can assume canvas is supported and that it is ready to be worked on. Otherwise (else) we can run some code in the event that canvas is not supported (such as telling the user that the page requires a browser with canvas support). 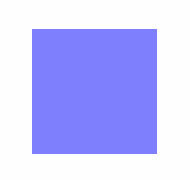 For CSS, we just draw a black border around the area of the canvas elements to make it easier to see. Then, finally, the HTML just involves giving the canvas element an ID, width, and height. If you’re going to spend the time to create some sort of fallback content, then it would be good to know the extent of browser support for the canvas element and its associated scripting. What About Internet Explorer 6-8? From my limited experience in running some example pages included with the ExploreCanvas library, IE’s rendering of canvas elements is very slow and resource-heavy, so unfortunately this workaround is not very inviting. You might think that it’s a little counterproductive and counterintuitive to create simple objects using such complex means. Canvas, however, should not be utilized for static object creation. Canvas is best used for drawing objects dynamically according to user input, or for updating the display of objects that are dependent on some kind of a dynamic feed of information (such as real-time stock market fluctuations visualized through a line graph). 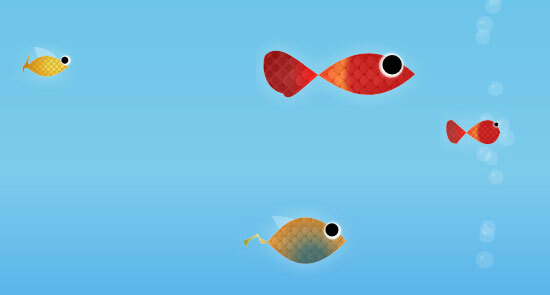 A virtual fish tank in your browser using attractive fish built without any graphic files. It has realistic fish movements and bubbles. Click on the tank to add as many fish as you want! 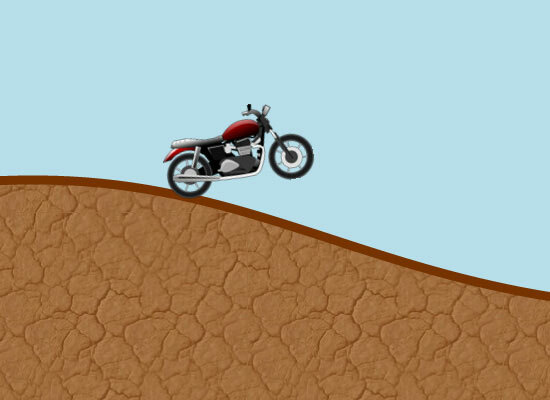 An experiment taking HTML5 canvas to the next level. Each of the circle you see in the background is a Twitter user. Click on a circle and you’ll see more information about that user. The international Billiards Tournament is being infiltrated by the terrorist organization CHALK. Do not let them win! 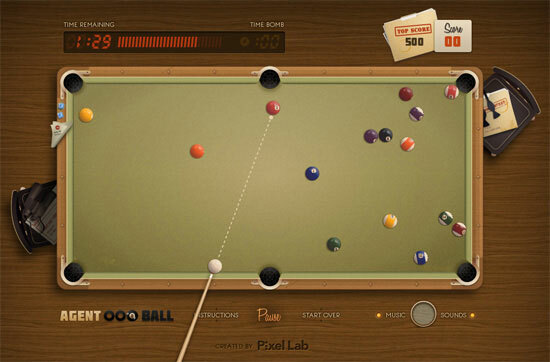 Sink as many balls as possible before the timer runs out. 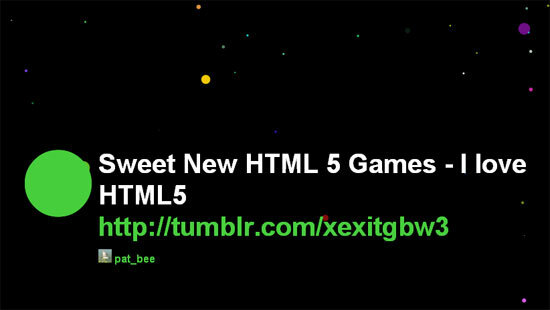 This demo is an implementation of a full 8-bit color cycling engine, rendered into a 32-bit HTML5 canvas in real-time. There are many color cycling scenes to choose from, with some ambient environmental soundtracks to match. 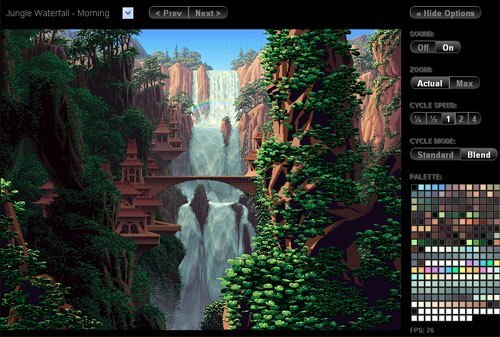 Canvas Toolkit: A basic HTML5 canvas drawing library for those familiar with the java.awt.Graphics class in Java. If you know of any cool libraries, demos, or experiments that use the HTML5 canvas element, please let us know in the comments.